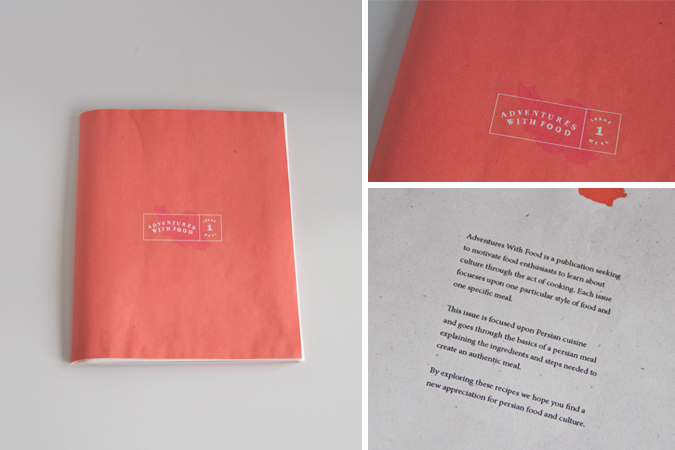 Adventures with Food is a publication that seeks to expose different types of cuisine in an approachable manner. 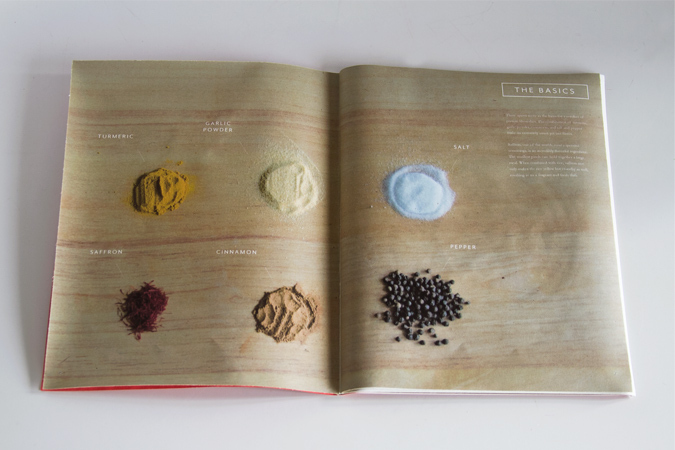 Each issue focuses upon one particular style of food and one specific meal. 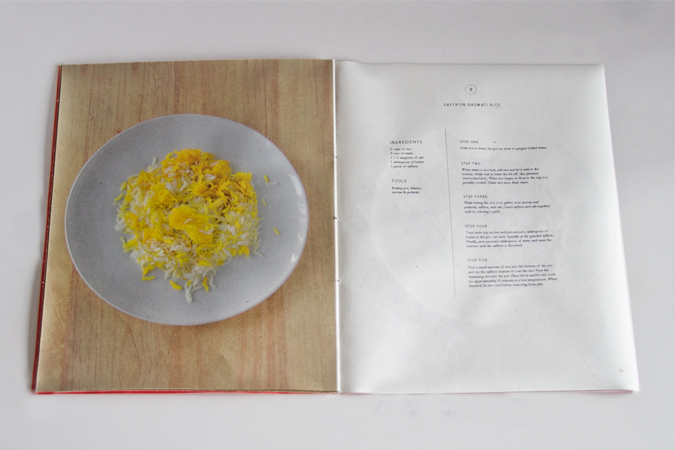 This particular issue focuses upon Persian cuisine and goes through the basics of a Persian meal explaining the ingredients and steps needed to create an authentic meal. The design is focused upon simple use of type and photography to easily communicate with audiences.